At the headquarters of Fossil, the American clothing and accessory brand, the design of the new space needed to meet the classic authenticity established in 1984. 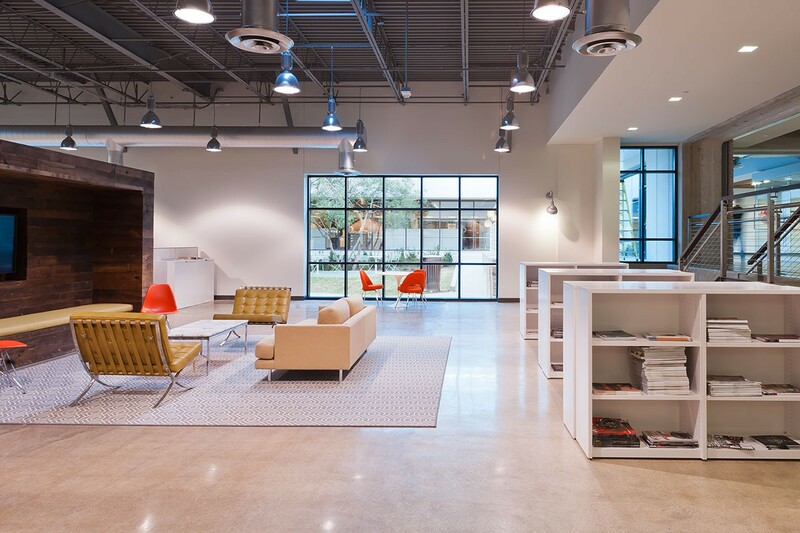 At a workplace where teamwork is necessary, huddle areas with Knoll Barcelona chairs are upholstered in a warm, caramel color of Hand Tipped (HT). The two-tone effect of this pebble grain leather is achieved through the base dye coloration and treatment where the tip of the pebble grain is dyed with a dark overtone applied by hand. A light clear coat finish makes this leather durable and relatively maintenance free. For more information on the product featured, please visit Hand Tipped (HT).